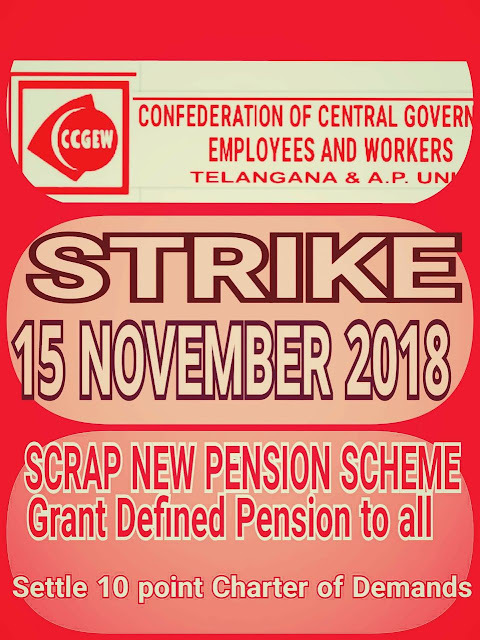 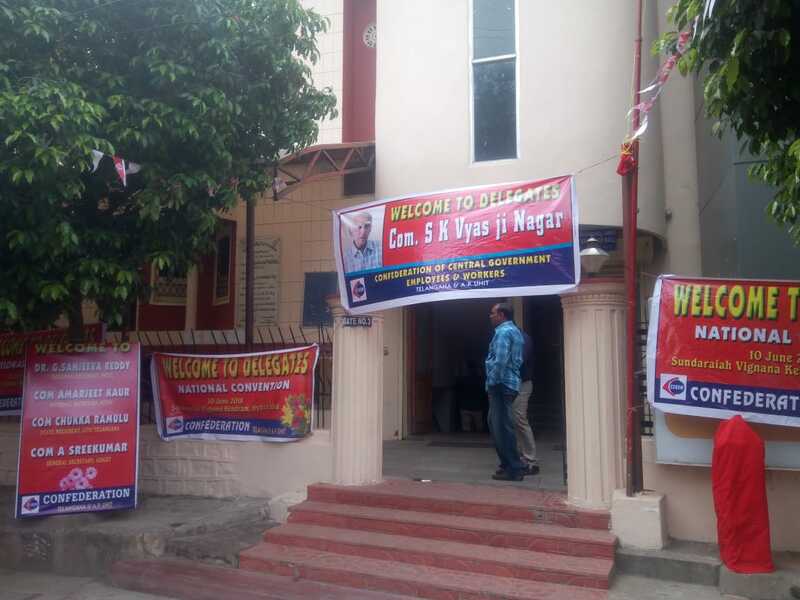 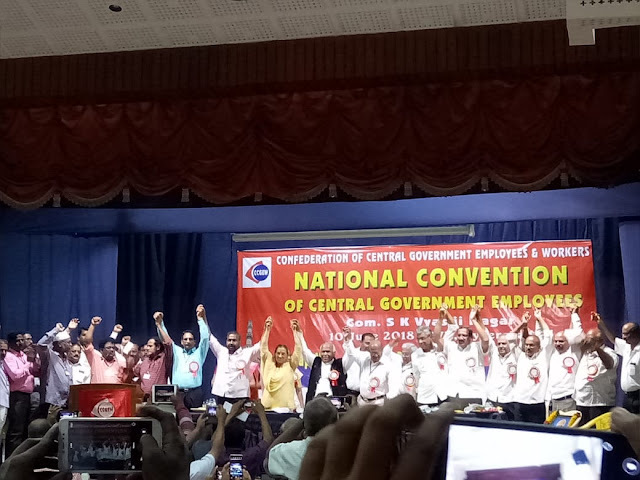 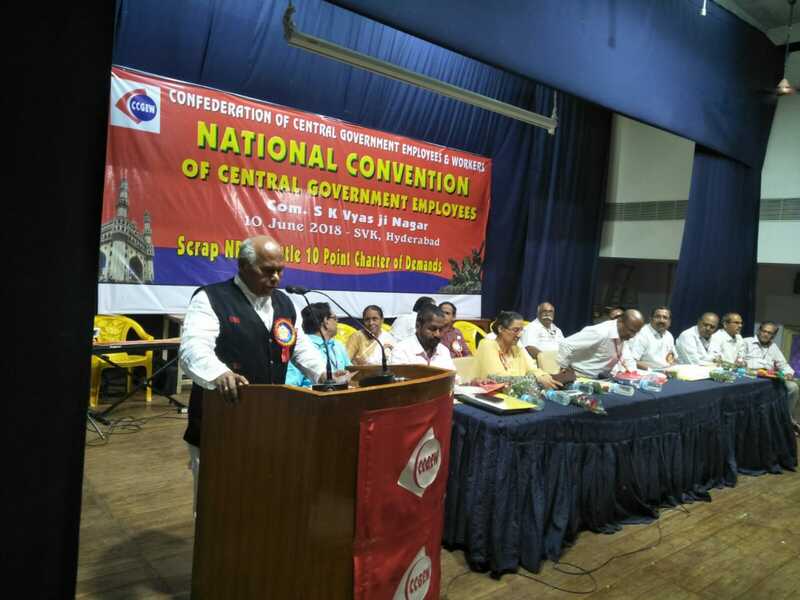 National Convention of Central Government Employees organised by Confederation of Central Govt Employees & Workers at Hyderabad declared one day strike on 15th November 2018. All India State Govt Employees Federation (AISGEF) also declared one day strike on the same day ie ; 15.11.2018. 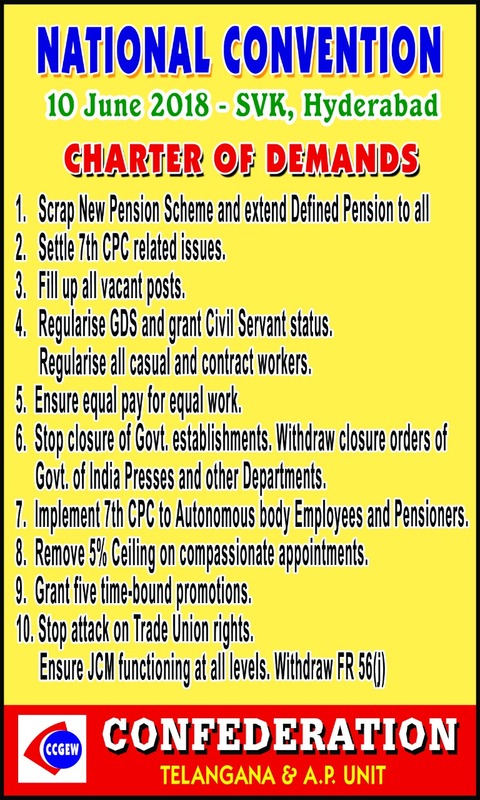 Main demands are Scrap Contrbutory Pension System and implement Old Pension System for all , Honour assurance given by Group of Ministers regarding increase in Minimum Pay & Fitment Formula , Stop Outsourcing of Govt functions and contractorisation , Grant Equal Pay for Equal Work , Settle 10 points Charter of demands etc. 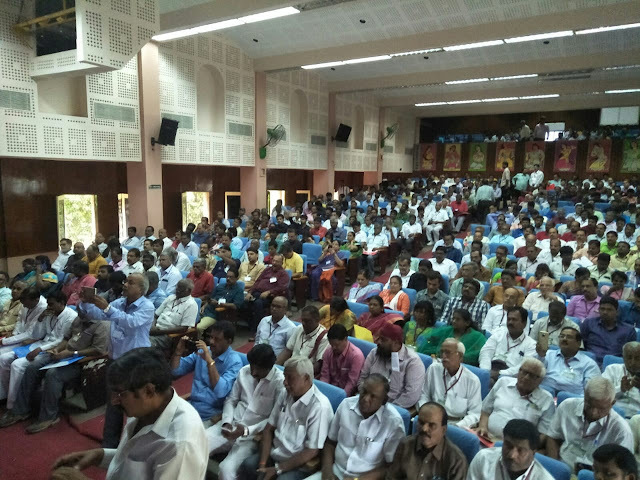 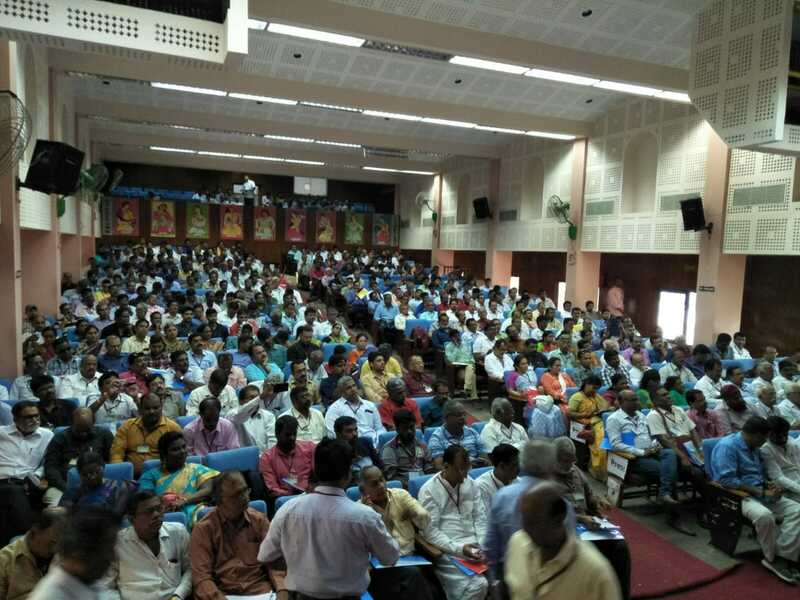 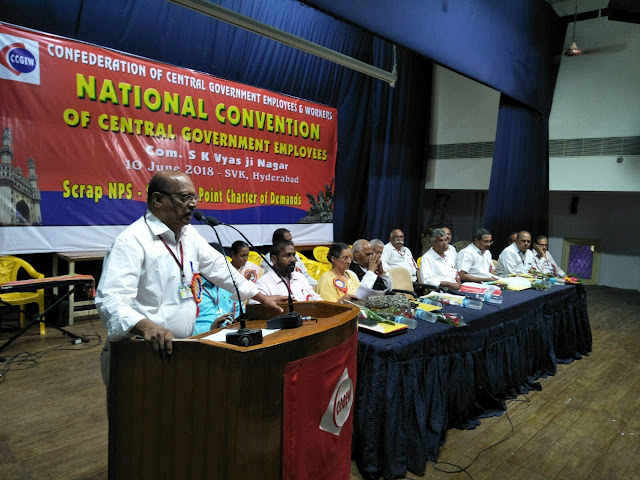 About 1000 delegates from all states and affiliated organisations participated in the National Convention. 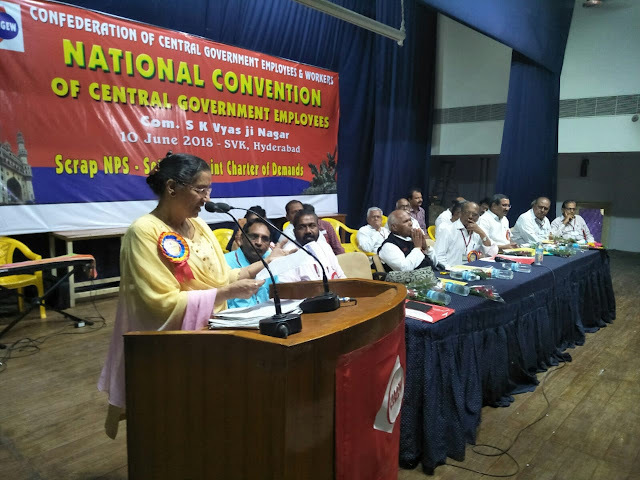 Com K.K.N.Kutty , National President , Confederation hoisted the Confederation flag and also presided over the National Convention. 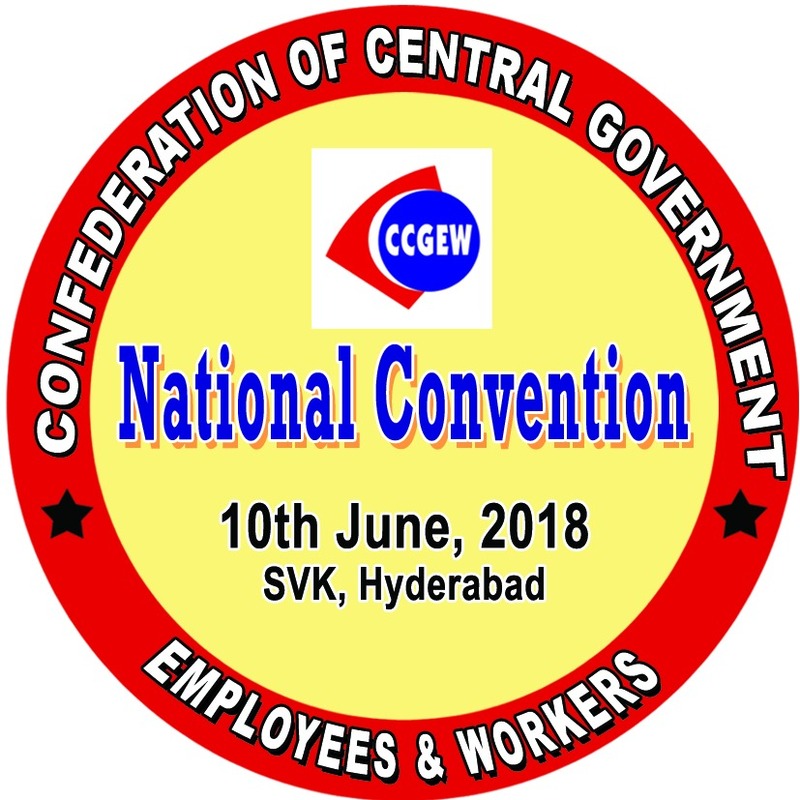 Com A . Azeez, General Secretary , COC , AP & Telangana delivered welcome address and Com Y.Nageswara Rao , Chairman , COC offered vote of thanks. 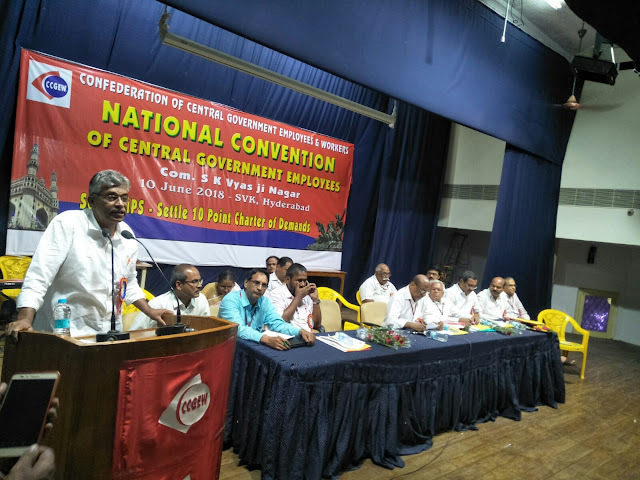 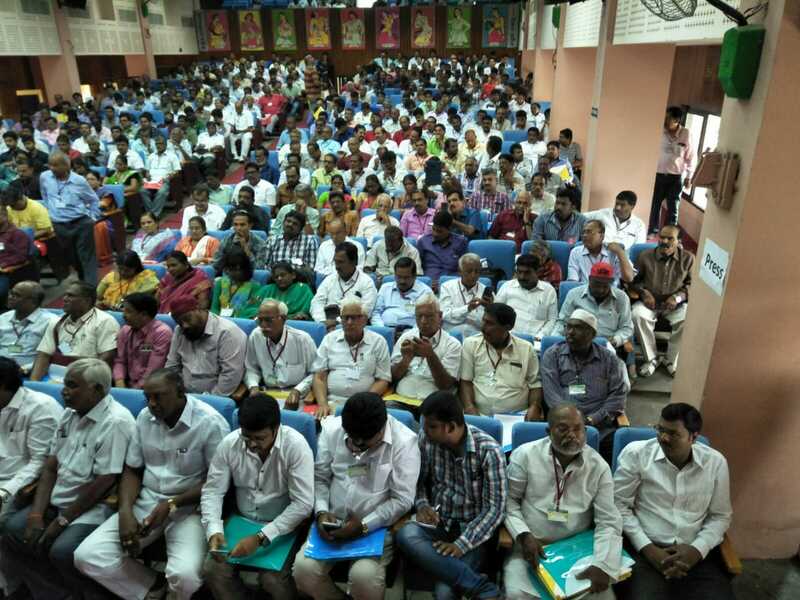 The Reception Committee under the dynamic leadership of Com Nageswara Rao and Azeez along with leaders and cadres of all affiliated organisations of COC made excellent arrangements for the successful conducting of the National Convention. 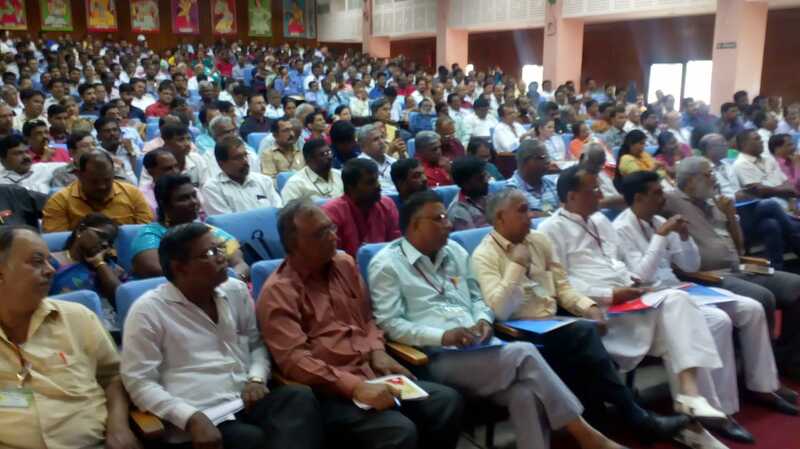 Cultural programmes presented by Praia Natya Mandali was really inspiring. 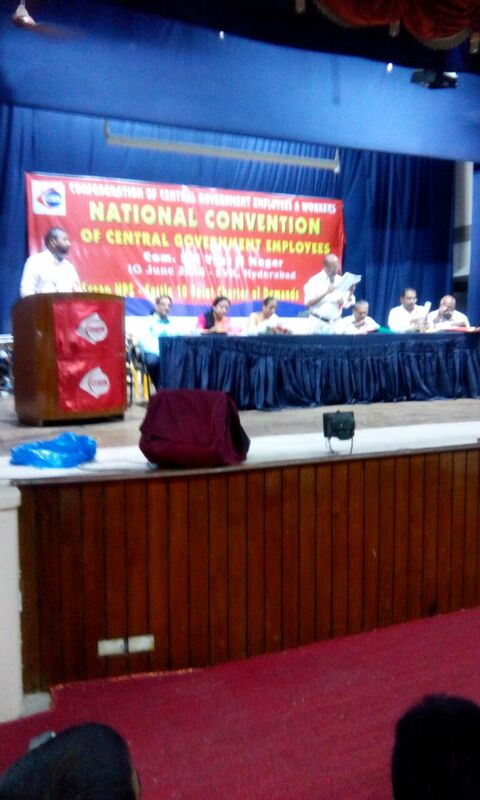 Overall the National Convention was a grand success and and an inspiring experience for those who participated in it.